After drawing their last two games against Valencia & Real Madrid in the Copa del Ray, Barcelona will be looking to get back to winning ways when they face Athletic Bilbao on Sunday evening. As ever, you will be able to follow all the action Live & Exclusive with beIN SPORTS. Athletic Bilbao has had a largely forgettable season, and are currently in twelfth place in the La Liga standings. Although their position is slightly misleading, especially when you consider that the Basque side is two points away from 17th placed Girona. Bilbao has drawn 11 games so far, and only Valencia boasts a better record in La Liga this season. Inaki Williams has been the standout player for Bilbao this season and has seven goals in twenty-two appearances this season. Bilbao has been lacking in front of goal this season, scoring only 23 La Liga goals to date. One thing that is in the home sides favour is their recent record against Barcelona which saw Bilbao pick up a point in a 1-1 draw at the Camp Nou earlier in the season. With the Catalans currently fighting on three fronts, Gaizka Garitano’s side could take advantage of leaving the door open for Real Madrid to close the gap at the top of the table. As for Barcelona, they will be looking to return to winning ways and stretch their lead to eight points at the top of the table. 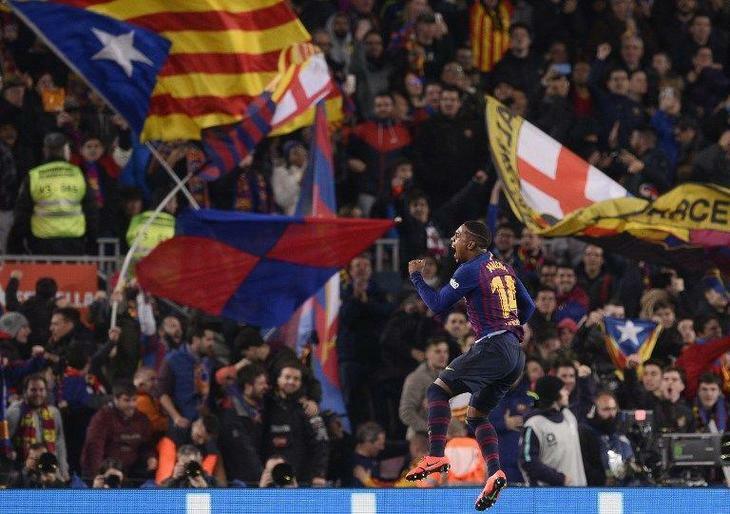 Last time out, Malcom scored to ensure that Barcelona shared the spoils with Real Madrid in the first leg of the Copa del Rey semi-final. The game against Bilbao is the start of a run of five games in 17 days, including a round of sixteen tie against Lyon in the Champions League. In injury news, Barcelona will be boosted by the return to Samuel Umtiti to full training although the game on Sunday could come too soon for the World Cup-winning defender. Whilst Ousmane Dembele could be in line for a start, after recovering from an ankle complaint. Leo Messi came on as a late substitute against Real Madrid but is widely expected to be fit for the trip to the Basque country. Jordi Alba will be suspended for the game against Bilbao which could mean that Sergi Roberto will start at left-back. One player missing out will be Brazilian midfielder Arthur who has been ruled out for a month with a hamstring complaint. It certainly promises to be a fascinating encounter as Barcelona look to assert their dominance at the top of the La Liga standings. As ever, you can follow all the action Live & Exclusive with beIN SPORTS.